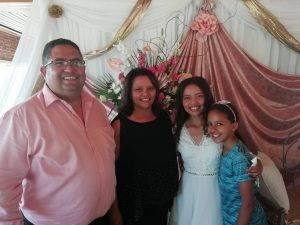 Andrea was born in Stellenbosch where her father is the pastor of URCSA Ryns Congregation where she is also a member. 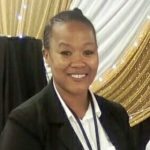 She attended Weber Memorial Primary School and completed her high school years at Luckhoff Secondary School. She obtained a BTh degree as well as a Postgraduate Diploma in Theology at Stellenbosch University. The people who made the deepest impact on her life were her parents. They mean a lot to her and will walk the extra mile. Her father had a profound influence on her vision of becoming a pastor. 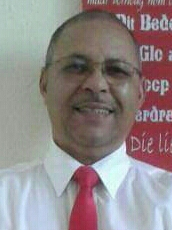 He is a softhearted person with a humble attitude and it was he who taught her what it entails being a servant of the Word in the context of URCSA. Her mother’s influence was especially how to have a good hart and how to show compassion to others. Everybody is always welcome in her house and she will treat everyone with the utmost respect, irrespective of their cultural backgrounds. Andrea’s hobbies are reading, watching movies and helping others whenever she can – this is where she experiences God’s blessings. She also loves to read the Bible, because although the world is full of stories, the best ones you will find in the Word of God. She would say her strongest characteristics are her eagerness to serve God wherever she can and her faithfulness to live according to God’s Word. Andrea’s dream for her future congregation is simple: firstly to serve God and to serve Him in truth. Secondly she would like her congregation and church council members to focus on those lost members who don’t join the church anymore and to let them feel at home again in their midst. 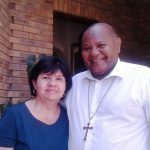 She will also support the growth of the various ministries in her congregation, because the more people who are saved, the wider the gospel of Jesus Christ will be spread. The first thing she would like to learn in her new congregation is about their history – how and when it was established, who were the previous pastors, who are the members, especially the elderly because it will be from them that she will learn mostly about the history of the congregation! She would also like to know more about the congregation’s different ministries and who started it, which community projects the church is involved in, because, as Church, it is not only the congregation members who have to be cared for, but they also have to care for the broader community and its members. Contact Andrea at andrea.daniels63@gmail.com for more information. Farren is a born and bred Namaqualander. She was born in Springbok on 8 February 1995; the place where she also grew up and where her Christian foundation was formed. “My family and friends had the largest impact on my life,” she says. URCSA played a vital role in her life and this is also where she was confirmed as a member of the church. 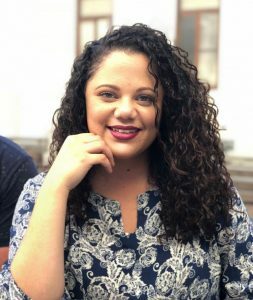 After she matriculated at Namaqualand High School in Springbok she started her BDiv studies in 2014 at Stellenbosch University. “The support of my family during my past 5 years of study, and what they are still offering, brought me where I am today. My family is my biggest support system and I will be grateful to them for it forever,” she says. 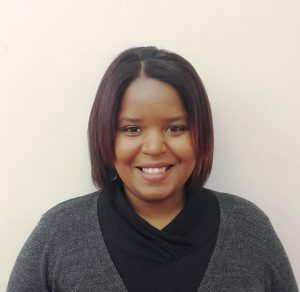 Her thesis topic is: “Reformed church law principles regarding baptism and the current law of URCSA regarding baptism. Prof MA MA Plaaitjies van Huffel was her supervisor/promoter. Farren’s dream of a congregation is that it shall be inclusive of heart. She dreams of a congregation that will take its members forward in understanding the ever changing world we live in and how to never stop listening to how Christ wants us to adapt to new challenges according to his will. She dreams of a congregation that not only preaches the Confession of Belhar but also will live according to it. She dreams of a congregation that can be a safe haven for those who are suppressed; a congregation that will be the embodiment of Jesus Christ here on earth. This enthusiastic young woman is fond of people and has good interpersonal relationships and a deep love for the ministry.She understands the importance of innovation and renewal without neglecting the importance of our Reformed tradition. Farren is also a keen reader, likes to do adventurous hiking trails and is very interested in photography and loves to listen to good music. Contact Farren at 18404219@sun.ac.za for more information. Anne-Marie (48) was born in Calvinia in the Karoo and grew up in Vredenburg at the West Coast. She studied at UWC (University of Western Cape) where she obtained her Diploma in Theology and thereafter also her Master’s Degree in Theology. She was legitimized in 2015. She has more than 20 years’ experience in ministry as a full time and part time minister. At the moment Anne-Marie is a practicing member at URCSA Elsiesrivier in Cape Town. Her focus area in ministry has always been practical theology and the contextualizing of it through church communities and ecumenical bodies she has served. She believes that relevance within the church’s context and framework is a particular strength and this is being achieved through strategic planning, monitoring and evaluation. She is also a very good fundraiser – in spite of our country’s ever changing and challenging economic climate, she still succeeds in helping people to understand a good cause and why it is important to contribute. She loves to preach and to teach and will be able to effectively guide and lead on all spheres of her ministry. Babalwa (38) was born in the beautiful citrus valley of the Sundays River Valley. She completed her school education at the local school in Kirkwood and graduated at PE Technikon, now called the NMMU (Nelson Mandela Metroplolitan University) where she obtained her degree in Public Financial Management. After that she obtained her MDiv at Stellenbosch University and was legitimized in 2008. At the moment Babalwa is a practicing member at URCSA New Brighton Congregation in Port Elizabeth. She would like to focus on youth ministry and would love to see young people grow closer to God in all aspects of their lives. She also values family life and regards it as the place where we have to allow God to take charge in order to heal our broken families. She has good financial experience and worked as Supply Chain Accountant/Manager at Sundays River Valley Municipality. She is also very fond of ballroom dancing, watching inspirational and well researched TV programmes and reading; she is currently reading “Bridge to Haven” by Francine Rivers. Contact her at pinksbusisiwe@gmail.com / bblwsifuba@yahoo.com or 079 974 7680 for more information. 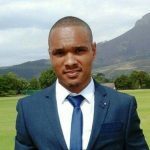 Granville (27) was born in Ceres and grew up in the Grootdrakenstein area. His vision for the church is primarily spiritual education and the stimulation of everyone, young and old. He is very enthusiastic about church dogma and how the church can impact and influence greater communities. He was legitimated in 2017 and is a member of URCSA Simondium at the moment. 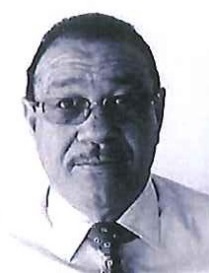 Granville is fond of cricket, rugby, hiking in nature, music, reading, art, drama and cooking. Contact him at granvillesaaiman15@gmail.com or 064 864 5292.